Join BACultural in celebrating the Chinese New Year! 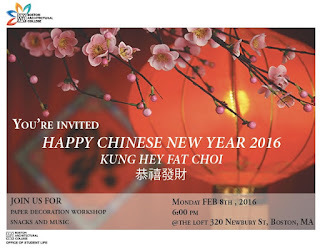 The celebration will include red lantern decoration, and traditional Chinese dumpling will be served. A traditional Chinese dragon dance will be playing on the TV screen!